The dust has settled a bit and I'm finally coming back to getting the blog going. I've been discovering and following so many great blogs the past few months and I am completely inspired by them. I'm so excited to finally get started on mine. I only hope that I can provide an ounce of that same inspiration on my blog! A little bit about me - I'm a stay at home mom with three little girls, Gabrielle-8, Lily-3, and Summer-2 months. I live in Spokane, WA and I love anything vintage! Although, I went to college and majored in accounting and started a career in that field, I have fallen in love with junkin, creating, decorating. I always savored my mom's decorating magazines and books, but the passion was kicked into full gear when I attended my first Farm Chicks show in 2004. I went crazy and practically furnished my whole house in the first few shows that I went to out in Fairfield. After the decision to stay home and raise the kids, I tried my hand at creating and have had the priviledge of being a vendor at the last two Farm Chicks Shows. 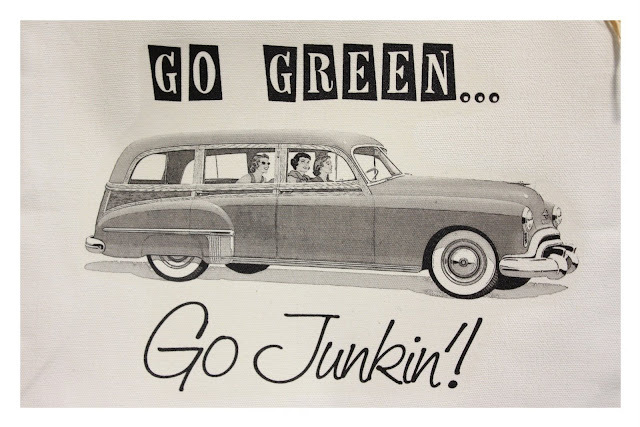 I look forward to continue creating, finding great finds, and sharing great junkin' adventures with you all!